Personal coffee recipes are a real individual philosophy for many coffee lovers. 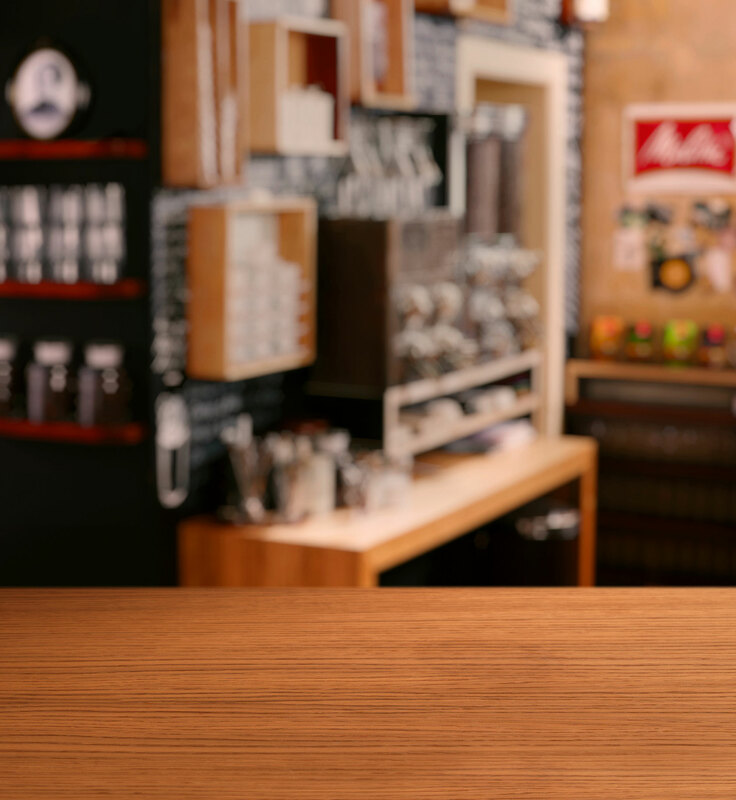 With the Melitta® Caffeo® CI® we offer you a fully automatic coffee machine, which adapts to the individual preferences of up to four people very simply. Intelligent technology and well thought out features are perfectly matched to the preferences of discerning coffee lovers. Exclusive features such as 'My Coffee Memory', 'Bean Select', the 'Plug-in-Milksystem' or the 'Original Preparation Process' will delight you! Premium quality for personal preferences. 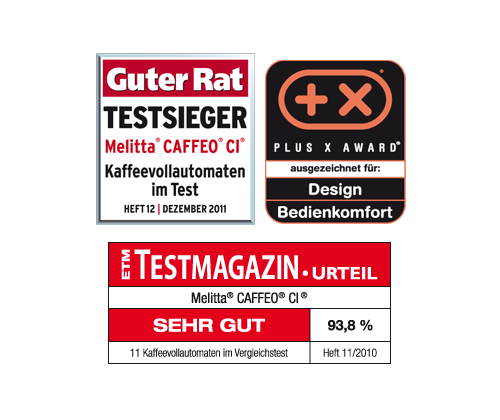 Thanks to the timeless design and the comfortable handling surface, CAFFEO® CI® has been awarded by different judging panels. With My-Coffee-function, Bean Select, text-display and many more useful features you can prepare every coffee speciality at home. Enjoy your favourite coffee! ...chute also allows you to use pre-ground coffee. * Despite automatic dosing, the first cup still contains a small amount of the previous type of coffee after the bean type has been changed. You don't want to have to set your personal coffee preferences each time you want a coffee? No problem! With the 'My Coffee Memory' feature you can set your favourite coffeee specialities individually. Wether you would like a small strong espresso or a wonderfully creamy latte macchiato with lots of frothed milk – the Melitta® Caffeo® CI® remembers the personal settings for up to four people! As every barista knows, to prepare coffee in the original way it is crucial that the ingredients are added in the correct order. So the Caffeo® CI® pours the espresso after the frothed milk for latte macchiato, and for cappuccino it's the other way round. Thanks to the easy to understand menu, the text display and the 'Rotary Switch' dial it is child's play to navigate through the menu. With the 'Double Cup Mode' (2-cup feature) you can prepare all coffee specialities, with or without milk, for two people at once. As well as the simple to remove brewing unit, you can also remove the milk system for easy cleaning. The milk container is even dishwasher safe. With 'Easy Steam Cleaning' you can use hot water and steam to quickly and hygienically clean the parts in contact with milk each time they are used.